The GE B23-7 of the late 1970s was the company's first four-axle model of its new "Dash 7" line, which featured upgraded equipment and electronics from the earlier Universal line. With GE now a competitive builder due to its success with late model U-boats like the U30C and U33C its new "Dash 7" proved the company was becoming a stronger locomotive manufacturer as the design sold relatively well, even though only a handful of railroads actually purchased the model along with the fact that EMD was still by far the most successful company in the field (remember that this was during the 1970s when EMD's SD40-2 was still in full production outshopping thousands of units). Today, you can still find the locomotive roaming and in active revenue service on smaller lines around the country, many of which have been rebuilt and upgraded over the years. 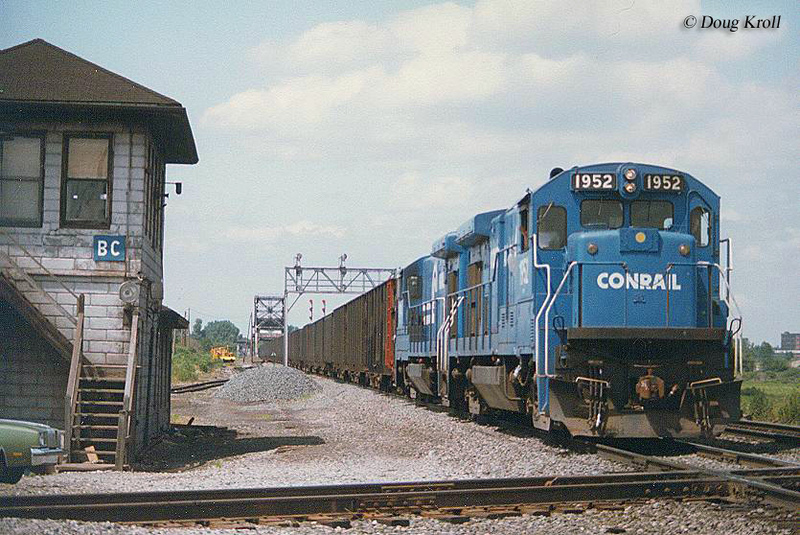 Despite still being a relatively young model there is one B23-7 preserved, Conrail #1943 in use on the Conway Scenic Railway. The GE B23-7 (read B23 “Dash” 7) was virtually identical to earlier U-boat models save for the fact that it came equipped with upgraded components and electronics. While the "Dash 7" line was somewhat different in how GE labeled its models the letters and numbers meant virtually the same thing. For instance, in regards to this design the "B" denoted the model was a four-axle unit (or featured a B-B truck setup), "23" listed the power rating (2,300 horsepower), and "7" simply referred to the unit as part of the "Dash 7" line. It should also be noted that the model featured a 12-cylinder version of GE's popular FDL prime mover, not the standard 16-cylinders most often found in their models. The locomotive used an updated version of GE's traction motor, the model 752AF, and could produce 63,250 pounds of starting tractive effort and 61,000 pounds continuous. Surprisingly, even though GE unveiled a new four-axle model in the late 1970s, when many railroads had begun buying only six-axle models for use in main line freight service, the B23-7 sold very well. The first units rolled out of GE's Erie, Pennsylvania plant in September, 1977 and when production had wrapped up on the model by December, 1984 the company had sold some 536 units to domestic and foreign roads (a utility company in Texas also purchased three). For U.S. lines it included the MoPac (85), Conrail (141), AT&SF (69), L&N (15), Providence & Worcester (1), SCL (29), SP (15), Southern (54), and Texas Utilities (3). Additionally, Mexican lines Ferrocarriles Nacionales de México and Ferrocarriles Unidos del Sureste purchased another 125 examples. Of note is another 10 purchased by the SCL known as the BQ23-7. The "Q" designated "Quarters" and the model was identical to the B23-7 save for the larger cab. Basically an experimental design the SCL was attempting to save money by removing the caboose from the end of the train and placing the entire crew in the lead locomotive. The idea did not work quite as well as the railroad had hoped and no more were built (in any event, the caboose was allowed to be removed from trains by the latter 1980s anyway). 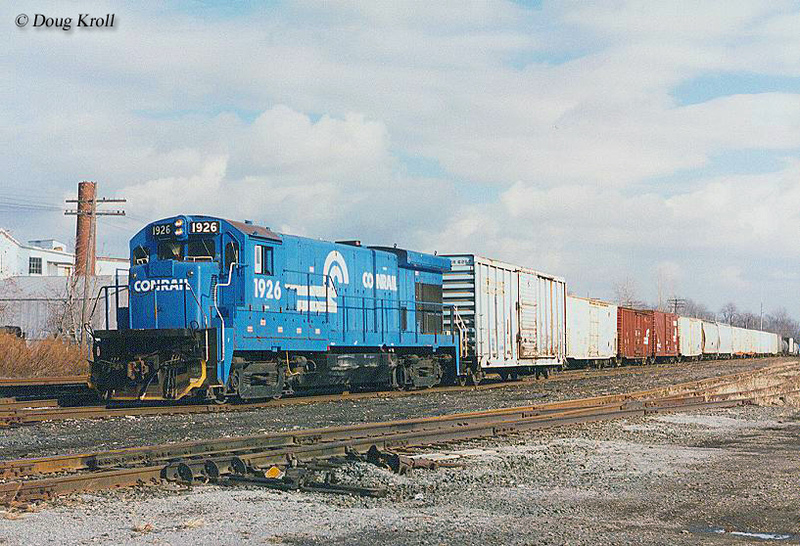 The BQ23-7s remained in service on CSX through the 1990s until they were finally retired. Taking what it had learned through its Universal line, GE's "Dash 7" models proved to be much more reliable mechanically and electrically, even though the company still employed basic, boxy carbody designs. 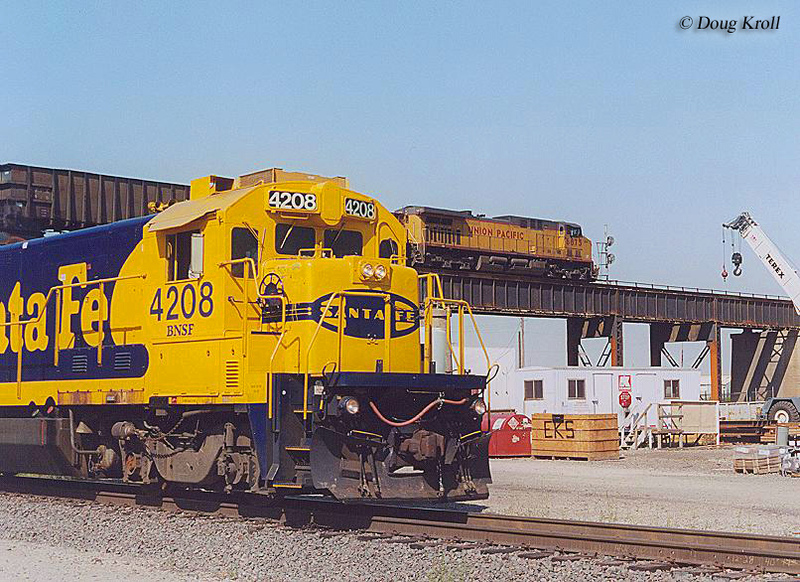 Regardless, newer models which followed the B23-7 sold even better and by the late 1980s GE was poised to take over as the top locomotive manufacturer, a position that had always been held by EMD. Notable among the Dash 7 line was the C30-7 and C36-7, which sold more than 1,600 examples between 1976 and 1989, essentially vaulting the company into first place over EMD. Today, you can still find a handful of the locomotives operating in active revenue service on short lines around the country. Additionally, others have been rebuilt into Control Car Remote Control Locomotives (CCRCL or remote control units) that can be used in yard and switching duties by a controller without needing to be placed in the cab. Lastly, for more information about the design please refer to the chart above for a complete production roster.